DAVID LE/Staff photo. 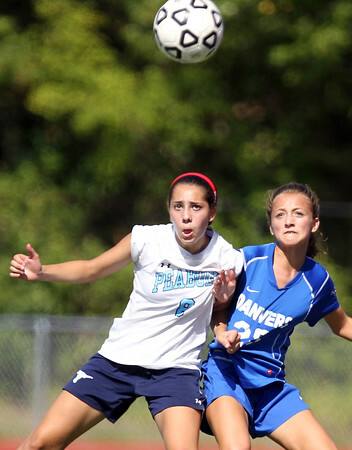 Peabody striker Marissa Orlando (8) and Danvers defense Becky Henion (25) battle for position for a 50/50 ball during the second half of play. 9/19/15.